Enjoyed this one! Good characters, great background & atmosphere & a good mystery. Picked up at the meet-up tonight. I couldn't resist this one, having been born and raised in Thunder Bay. It was difficult to put this one down. Hearing all the familiar names of places I grew up hearing in Thunder Bay was fun. Beautiful descriptions of the landscape of the area. A good read with some twists and turns. Enjoyed reading this book. Once I got into it I couldn't put it down. 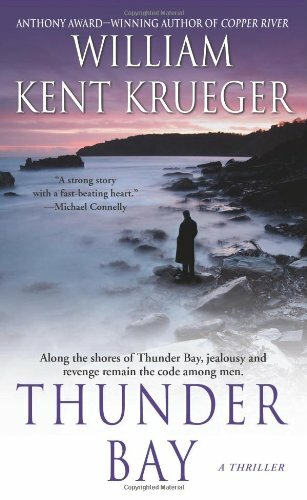 I know the Thunder Bay Area well, so it was very interesting to read about it in a mystery. My sister gave me this book a while ago. Finally read it. Enjoyed it very much.